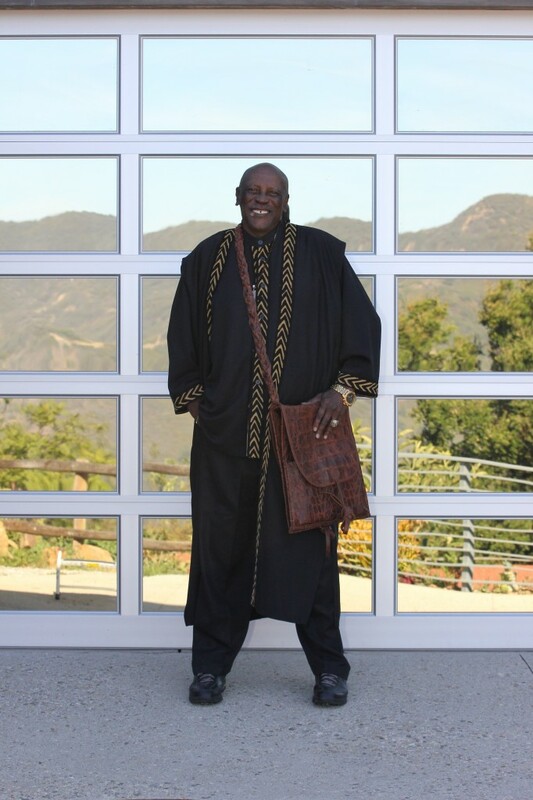 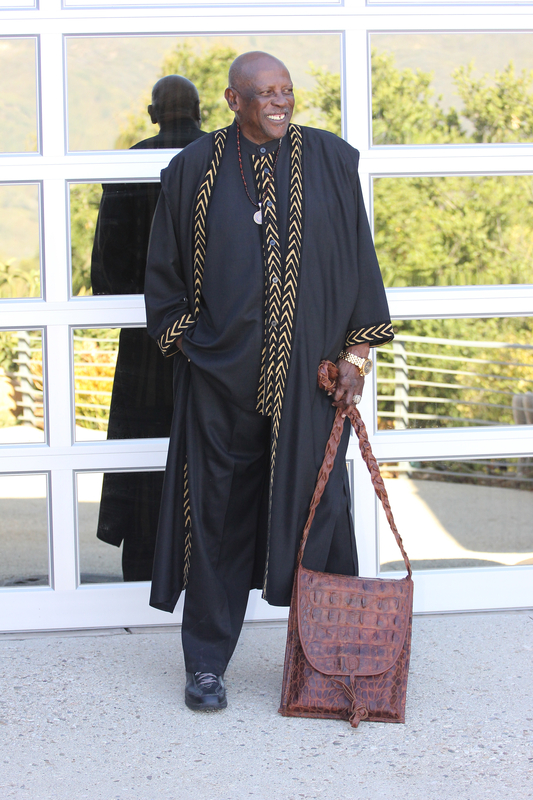 Lou Gossett Jr. and I went to work together to produce a line of leather bags that will accompany Lou's Afro-Fushion clothing line for men. 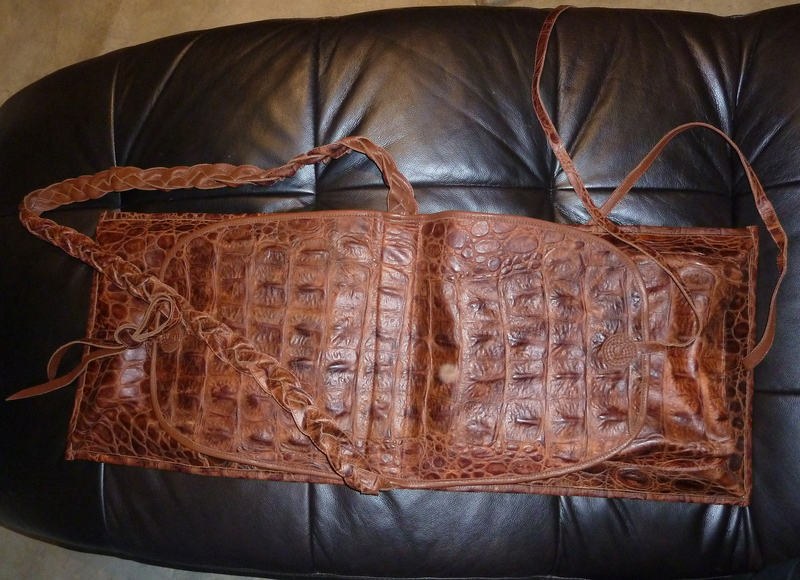 This piece is a shoulder carrying Saddlebag. 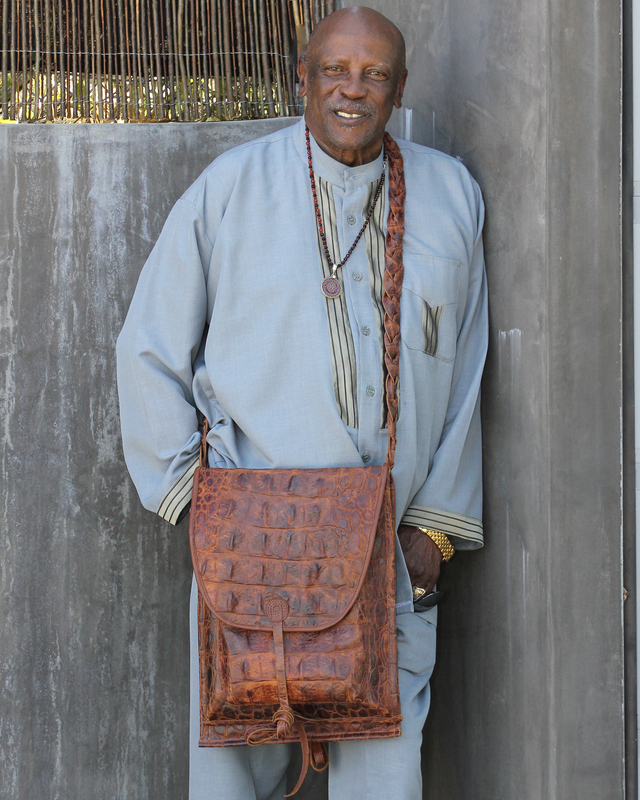 Each side of the bag is equipped with specific pockets. 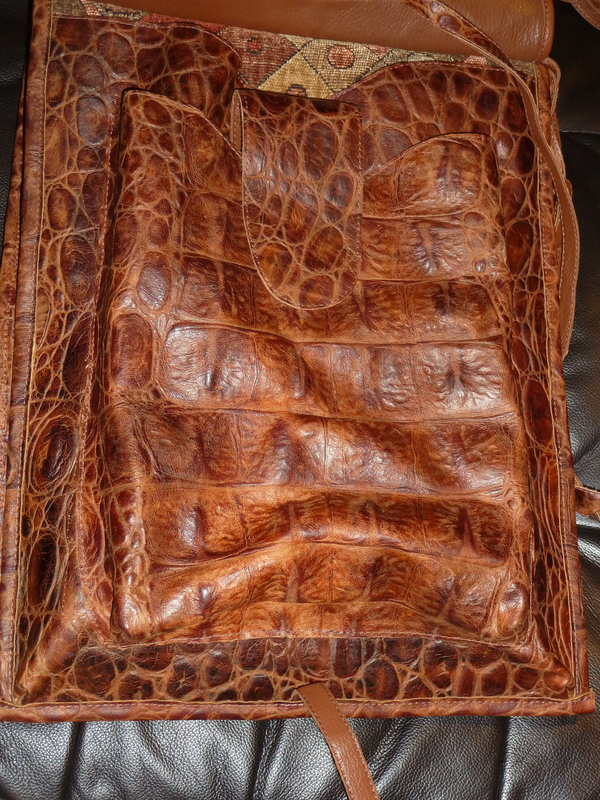 One side holds a laptop computer and an 8 1/2" X 11" area for a script or binder. 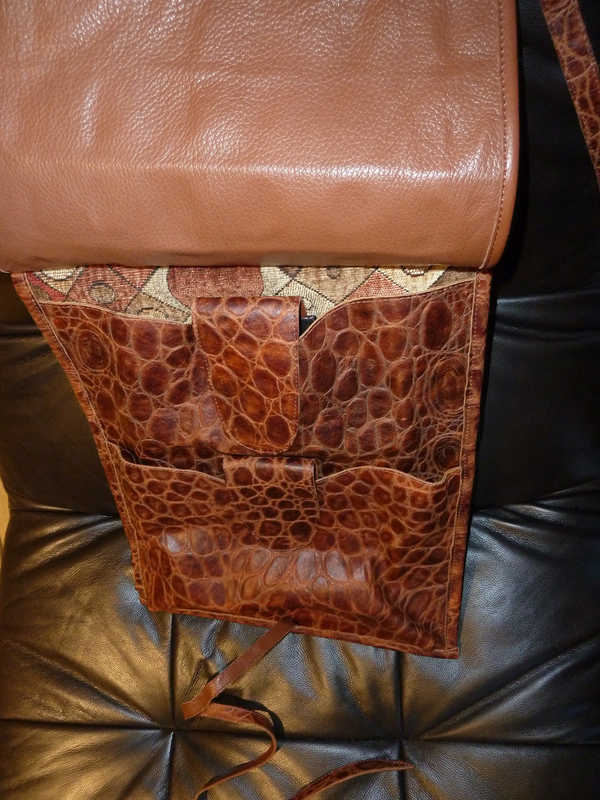 The other side has a pocket for an iPad and another for a book. 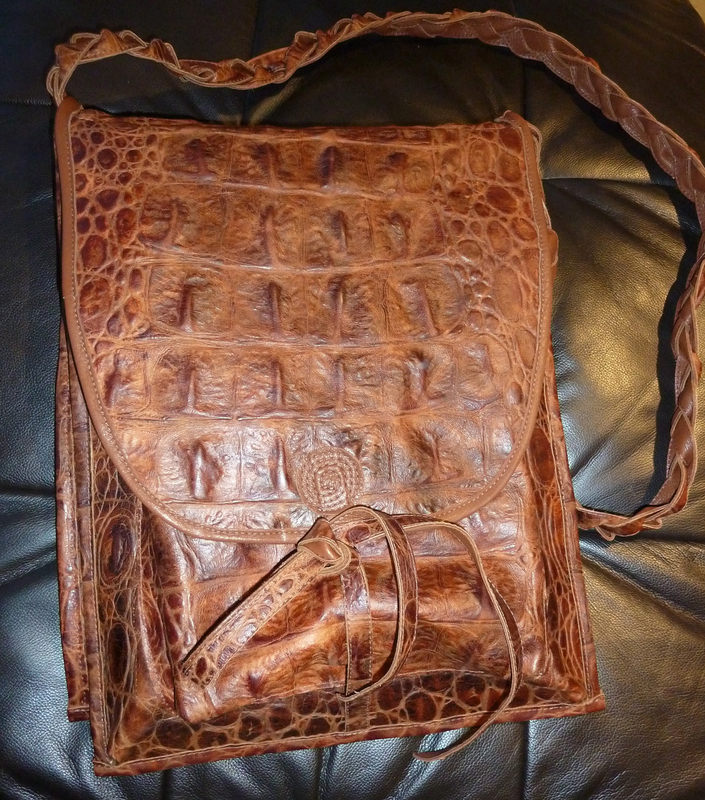 These bags can be custom ordered with your own individual specifications. 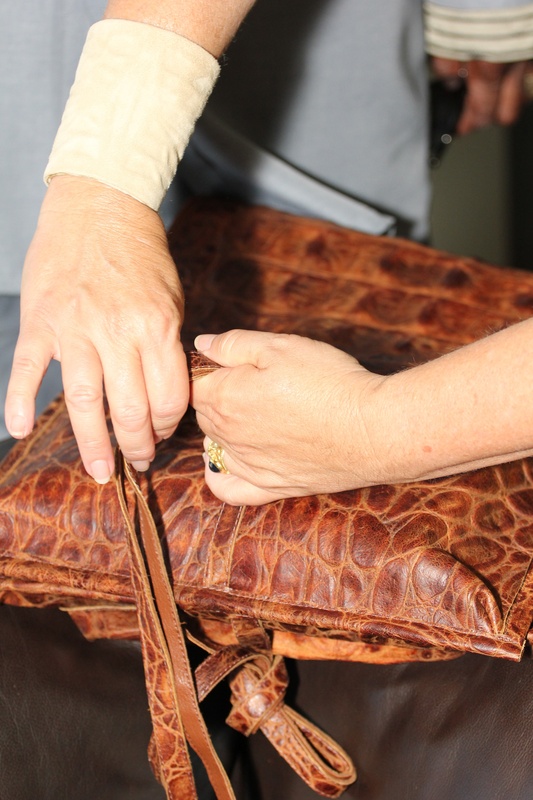 The bag folds over and has beautiful flaps with ties to secure the contents. With the sale of these bags 25% of the price will be donated to Lou’s, Eracism Foundation, read all about the wonderful work this foundation intends to do for youth around the world in “An Actor and a Gentleman”, an autobiography of this wonderfully talented academy award winning actor and activist. 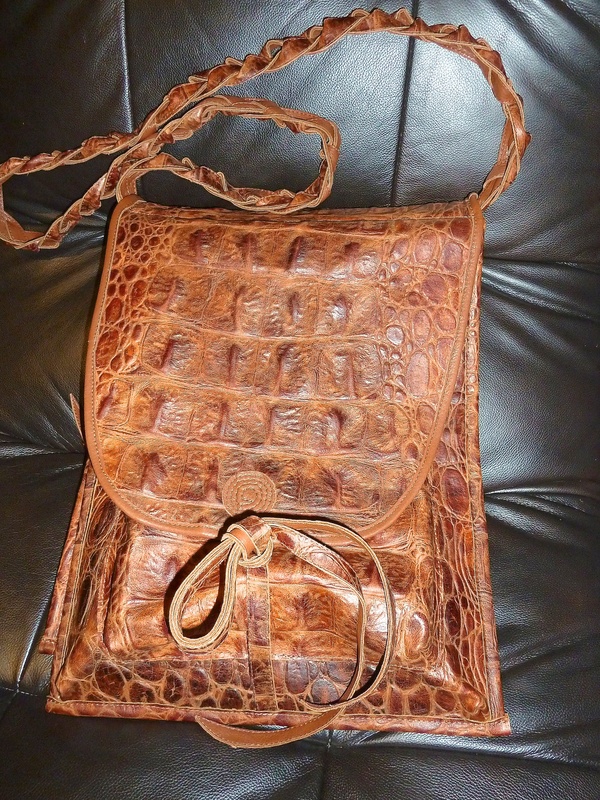 This Saddlebag is available by custom order in our online store in a wide variety of leathers and suedes, colors and textures.